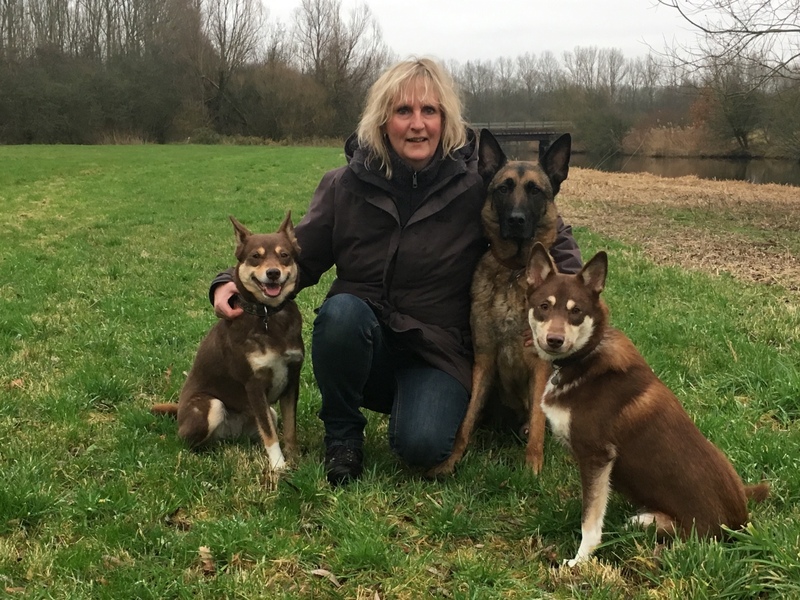 My name is Yvonne and I live, together with my husband Joost and have two sons! We live with our pets, in a small town called Heemskerk in Noord-Holland. As a child I was raised surrounded by animals, mostly dogs. We had greyhounds that attended runs and shows. My days revolve around dogs, it’s a way of life. Besides training and playing games, I take daily walks through nature and I’ve been the proud owner of a dog walking service for over 19 years. I came to know about the Lapponian Herder through my friend Margriet Kloet, she’s the first breeder in The Netherlands. She awoke my interest for this breed but it wasn’t until 10 years later that we got our own Lapponian Herder. We got her from a kennel in Finland, named “Tuhkavuorten van Kaisa Hurme” and we called her “Tuhkavuorten Ketoneilikka”, nickname: “Saimi”. I named Saimi after her ancestress of kennel Valkean Veden, the kennel owned by Margriet, who is now a good friend of ours. Occasionally I will breed a litter, for me it’s purely a hobby! So I will try to preserve this special breed! If you have any questions then do not hesitate to contact me.